세계에서 제일 살기 좋은 도시 밴쿠버는 그 명성에 걸 맞게 서비스 산업이 발달 되어있습니다. 미국, 유럽, 아시아로부터 오는 수천만명의 관광객들과 부유한 이민자들은 관광, 호텔, 요리, 커피샆, 프랜차이즈등의 Hospitality 산업을 발전 시키고 있습니다. Hospitality 산업 발달에 따른 구인 수요와 국제 도시 밴쿠버의 Multicultural적인 환경은 국제 학생들이 언어적 장벽을 넘어 인턴쉽을 할 수 있는 최적의 환경을 제공 하고 있습니다. People who enjoy helping others as well as working where empathy, generosity and patience are the order of the day. 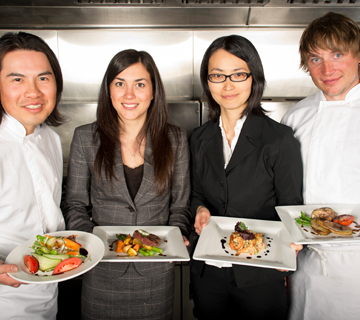 Experience the culture of the Western service industry. Immerse yourself into a multicultural environment where each individual you come across will be the highlight of your day. Best environment to continue improving your English skills. © 2016 SP Solutions. All Rights Reserved.